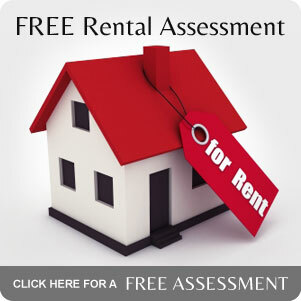 Quality Property Management Ltd, innovative, locally owned property management organization. We have been in business for over twenty years and our principal Bernice Ireland has recently consolidated her Real Estate business to concentrate solely on property management in the Christchurch area. We have Property Managers with over 35 years of combined property management experience, with a philosophy of providing unparalleled service to and on behalf or our property investors. An important part of this philosophy is that our Property Managers are not pushy or aggressive; rather they will build a relationship with you based on respect, trust, consideration, and give you the confidence that we have your best interests at heart. Our motivated team of Property Managers have the support of quality systems to deliver exceptional service based on professionalism and enthusiasm to get the job done. With a sound knowledge of all relevant legislation, market procedures, and a steady stream of potential tenants Quality Property Management Ltd can handle the entire process for you. Quality Property Management Ltd will strive to ensure less stress, greater occupancy, quality tenants and, ultimately greater returns for your investment. We are proud to be members of the Real Estate Institute of New Zealand (MREINZ). This ensures that we work to an industry code of ethics and the Residential Tenancies Act 1986 protecting and providing benefits to the Landlord and the Tenant. Contact us today to discuss how we can benefit your portfolio.